This is advance notice for your diaries that the Annual General Meeting of the Academy Residents Association will take place on Wednesday 9 April 2014 at 7.30 p.m. in the Vauxhall Griffin Pub, 8 Wyvil Road, London SW8 2TH. Buffet food will be provided. An agenda and other relevant paperwork will be issued in due course. Please join us and have your say about the running of the Academy. 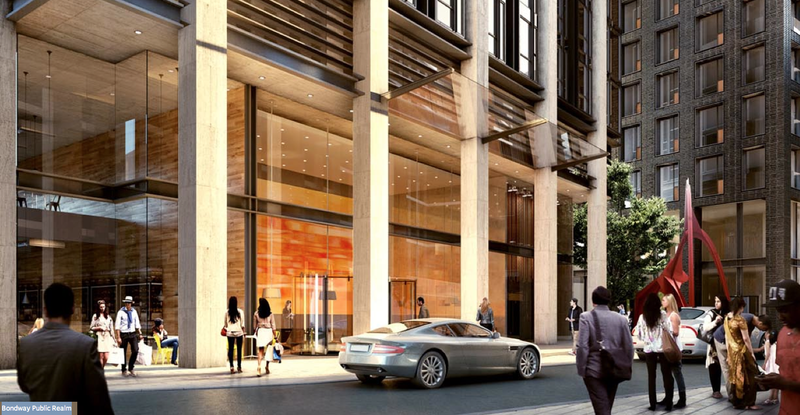 The developers of the New Bondway buildings have submitted new proposals and invite interested parties to a public exhibition of what they say is their final proposal (aka take it or leave it) on Thursday 20th and Saturday 22nd February at Market Towers, 1 Nine Elms Lane (opposite the Tower). Personally I can’t see any difference from the previous submission – maybe they’ve changed the door handles. But it’s still fifty stories high. And it’s still hideous. Just what we want overlooking Lambeth Council’s Vauxhall High Street proposed to replace the Bus Station. The architects have obviously never been to the site. Take a look at this last representation of the building from ground level currently on their web site. It’s missing the four lane race track currently in-situ. Although it does have a parked Jaguar and what looks like a Maserati, and shoppers (presumably having done their weekly shop at the Little Waitrose) strolling around calmly rather than waiting for the lights to change (they’re missing them as well) before doing their impression of Usain Bolt trying to cross the Gyratory. The application for an alcohol license originally submitted for review on 18th November for 45A South Lambeth Road, and the subject of a regular no-show at the hearing by the applicant on a number of occasions after that, has finally been withdrawn. We have posted updates regularly – rather than repeat the information ad nausea, take a look at our last post on 26th January. Further to your representation against the application by Mr Sadaf Mirza (EssKay Cabs) please find below a statement from the applicant in which he states that he no longer wishes to pursue the application [for the kebab shop to trade overnight]. This means that he has withdrawn his application and no longer progressing it. I would like to thank you for your time and advise that it is no longer necessary for you to attend the hearing tomorrow.